Don’t get me wrong… I’m working for the weekend as much as the next guy, but as far as weekdays go Monday takes the cake. While I spend my free time pursuing digital design, I spend my days as a pre-k teacher. You might think that being a teacher of young children I would dread Monday, that the kiddos would be off the chain and their schedules run amok. In actuality, Monday is, by far, the calmest and most productive day of my work week. Why, you ask?The children are happy to be at school. They are happy to see each other and happy to see me. They’re excited to see what we’re learning about and what activities are in store. And the pièce de résistance is, of course, that they are so exhausted from the weekend that they all nap. Just like clockwork. The rest of the week? All bets are off…and Thursdays are a story for another day. But, tomorrow I will sit back and enjoy the peace and quiet that only a Monday can bring! 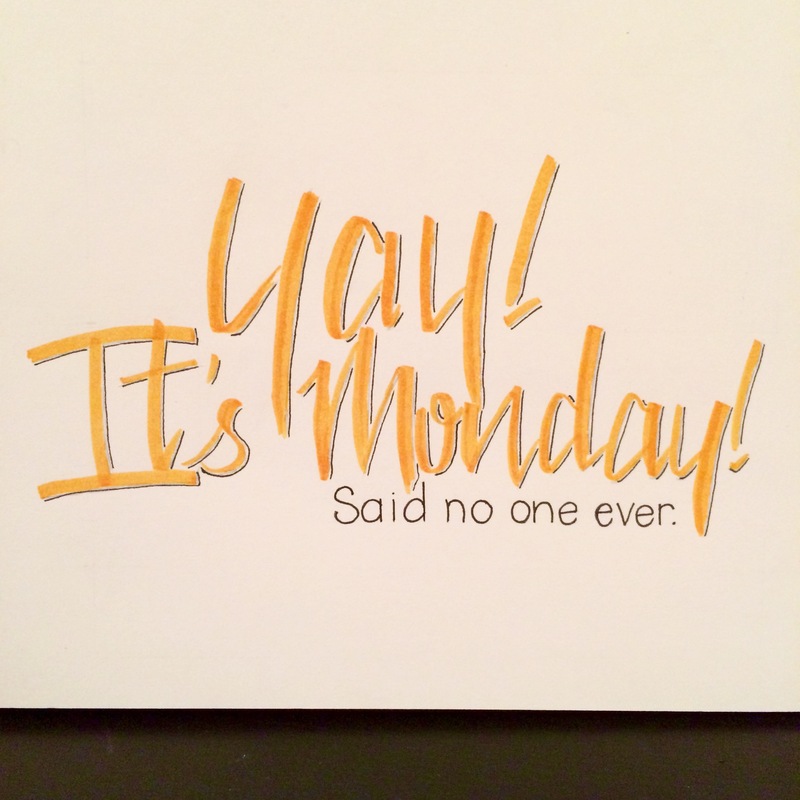 Do you dread or revel your Monday’s? Let me know over on my Facebook page!